Product prices and availability are accurate as of 2019-04-19 00:36:49 UTC and are subject to change. Any price and availability information displayed on http://www.amazon.com/ at the time of purchase will apply to the purchase of this product. · High density braided weave. Protect against dust and outdoors. 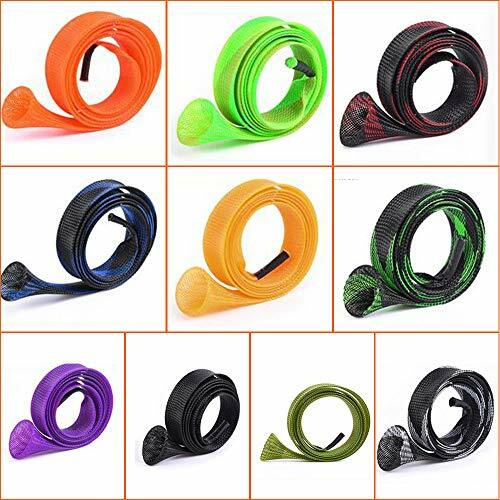 Color: 10 different color rod covers (red, orange, purple, black, army green, black and green, black and blue, black and white, black and red, green and yellow). Package: 10* different color rod socks. 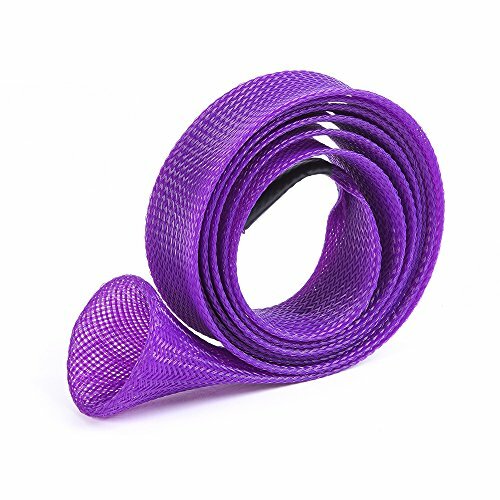 Material: PET rod sleeve is made from environment-friendly and non toxic PET silk and fine, which is virtually impervious to salt as well as resistant to mold and mildew with flexibility, good abrasion resistance. 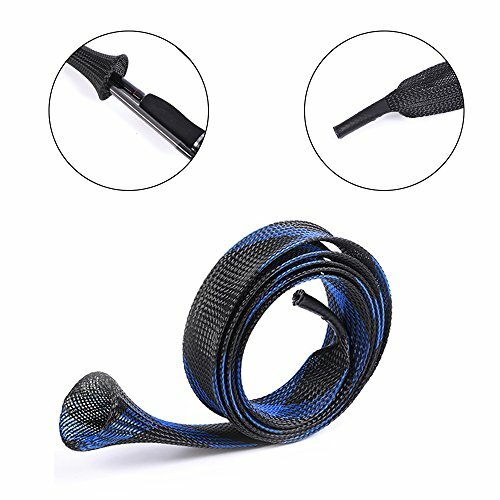 Function: Rod socks are a great way to prevent annoying tangles in your rod locker or vehicle while protecting your fishing line and rod from nicks and scratches. 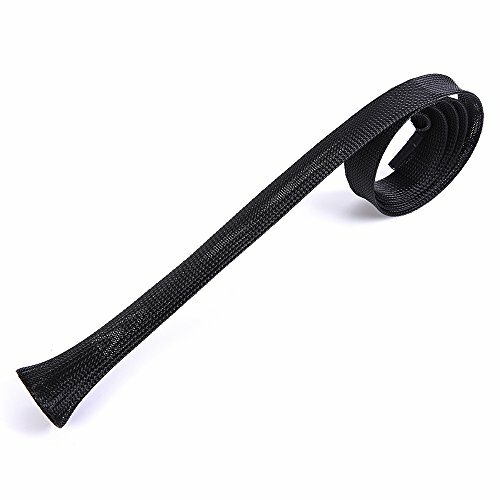 Advantages: Their unique braided construction and wide expandability means easy & off installation.They may be used over large line guides on fully rigged rods. Unlike cloth sheaths, barbed hooks are easily removed. This rod covers are great in boat rod lockers,rod storage tubes,in the back of your truck or going to and from the boat. 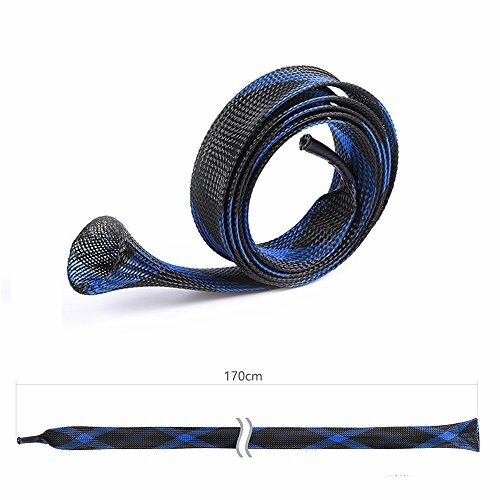 Size: Rod Covers length and width is about 67*1.38in(the maximum width is 2.36inch ), designed to fit common sized fishing rods with them best fitting rods between 6'6" - 7'2". Our rod covers are made extra wide to enable use with a wide variety of rods. Package: Including 10 different color rod covers. 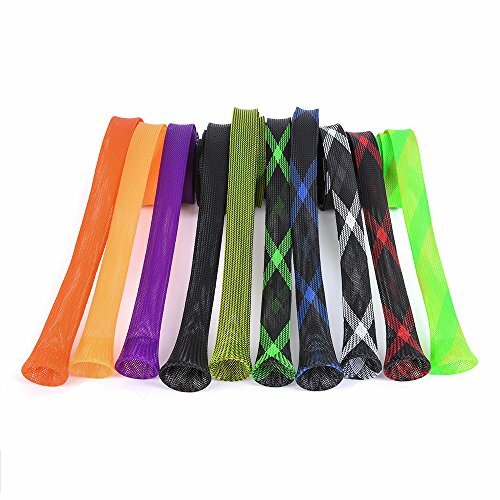 Rod sleeves are available in red, orange, purple, black, army green, black and green, black and blue, black and white, black and red, green and yellow. You can choose it according to your mood.